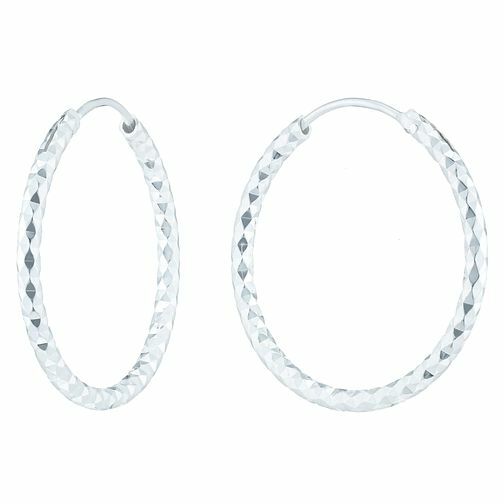 The diamond cut detailing of these sterling silver 24mm hoop earrings blend a distinctive design with enduring style. Sterling Silver Diamond Cut 24mm Hoop Earrings is rated 4.8 out of 5 by 5. Rated 5 out of 5 by Anonymous from Pretty hoops Lovely pretty hoops , great value for money, The hinge fastener makes it easy to use and less likely to break , would recommend them .